Blockchain is something a lot of people are now aware of thanks to Bitcoin. The cryptocurrency’s meteoric rise from less than a cent to almost $20,000 per unit captured the imagination of a lot of would-be investors who were keen to capitalise on a new market. It sadly wasn’t to be for many of them, but the technology used to create Bitcoin was widely overlooked for its potential. 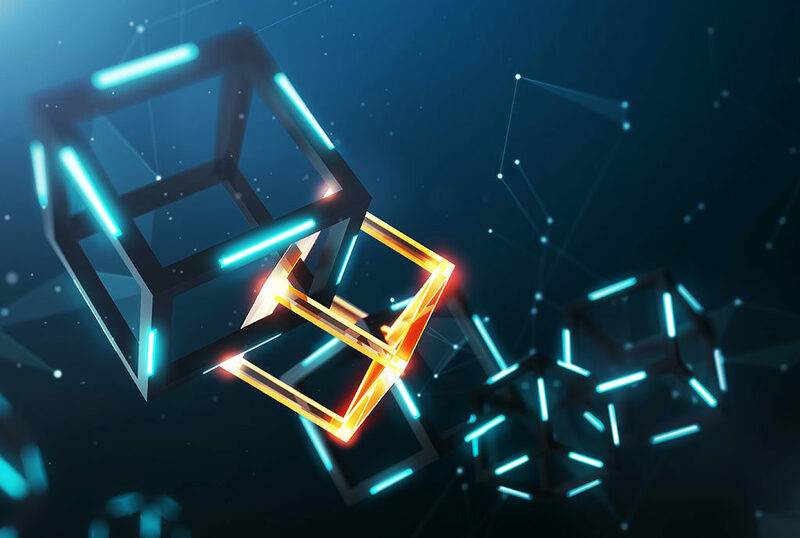 Blockchain can and will have an effect on digital marketing in a very positive way and it’s important that you know how this might impact you and your brand. Advertising is everywhere, and we might have become immune to it to a degree, but not all advertising is genuine. Fraudulent advertising actually comes at a high cost – $16.4 billion was the estimated cost to businesses last year and it was expected to keep growing. Until Blockchain. Because Blockchain is decentralised it can audit ads, making it easier to validate ad impressions and because it saves each event, the fraud source could be identified more easily. As well as identifying the source of any fraudulent ad which is already in place it could also help to stop fraudulent ad activity in real time. This will lead to advertising costing companies far less money. Blockchain is one of the most secure technologies around. Every single transaction performed using it is time stamped and encrypted and is verified through the involvement of multiple users. This means that no single user can manipulate any of the data without it being approved by others within that particular block, making it as close to impossible for any individual user to use any data for nefarious purposes. Internet users are becoming more and more concerned about their privacy. Data harvesting has been a hot topic for several months and it has led to a lot of people having a mistrust of search engines and social media sites. Blockchain gives users more control over their data. They would in fact be in total control over what they shared and who it was shared with. This is an absolutely massive plus for using Blockchain technology in that they’ve created a more or less unhackable and 100% secure way of doing things. Customers and digital marketers alike both win in this situation. Not having access to data you need at any given moment can be something of a pain, but Blockchain eliminates this problem. It will give you multiple data points so that you know when ads have reached your customers and it can give you the figures you need relating to trends, patterns, reach, etc. The information is stored in blocks and can be used to monitor progress on all social media platforms or through any channel of your choosing. Tracking segmented audiences would be easier as it is possible when using Blockchain to track people using a certain page or even a certain piece of content within a page. As mentioned in the previous paragraph, tracking becomes easier. This means that Blockchain will give you the most accurate figures you can get relating to page views, hits, likes, etc. All figures can be produced in real time which is a huge help, rather than having to wait until the end of the day or even week in some cases. There are a number of situations, particularly in digital advertising, where it is necessary to use a third party. This increases cost for your business or brand, costs you could do without. With Blockchain, due to its trustworthiness, it will be possible for companies to deal directly with each other and eliminate the need for any middlemen. The amount of money this could save is an impressive amount, as well as improving the working relationships between parties. While it seems that using Blockchain can only be a positive thing for both consumers and marketers it is yet to catch on. Not surprisingly, because as you will know, if you save money then somebody else loses money. In this instance, companies like Google would take a significant hit to their profits and they won’t take the introduction of Blockchain lying down. It was a while before Bitcoin was accepted, due to its decentralised nature, and the thought is that Blockchain will meet some similar resistance initially. Even though it is unknown when Blockchain will begin to be used – because with the amount of positive impact, how could it not be? – but that doesn’t mean you can’t get ready for it. Be prepared for when it happens and be ahead of the rest when it comes to a new and more effective way of business and digital marketing. MediaHype is the world’s fastest growing digital marketing agency which specializes in content production and digital optimization.